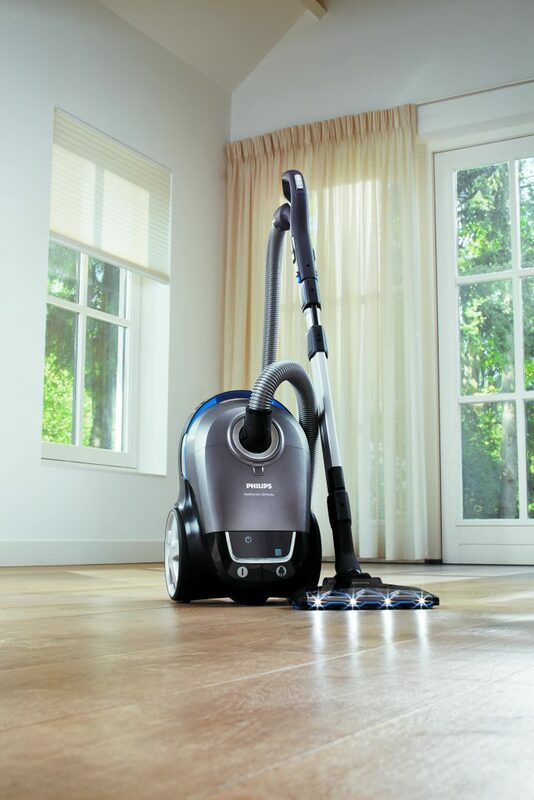 Performer Ultimate FC8955, our first vacuum cleaner in a closed loop recycling system. Old Philips vacuum cleaners are collected in western Europe and recycled by our partner Coolrec. Our partner Veolia mixes the plastics from the recycled vacuum cleaners with other recycled plastics to create a new high quality recycled plastics grade that is used by our factory in Poland to produce the new Performer Ultimate. Circular economy thinking has resulted in recycled materials becoming an integral part of Philips product design and Performer Ultimate is the first vacuum cleaner that is specifically designed for using recycled plastics. By co-creating with recyclers and suppliers of recycled materials, we are using our combined expertise to improve the quality of materials. Besides having a great cleaning performance, the Philips Performer Ultimate uses high amounts of recycled plastics amounting to a total of 1.38 kg of recycled plastics per product. The recycled plastics are used in 5 black parts of which the upper and lower housing of the vacuum cleaner are the biggest parts. The introduction of recycled plastics in the Performer Ultimate is part of our Circular Economy ambition to introduce recycled plastics in as many products as possible. The recycled plastic used is a 95% post-consumer recycled polypropylene. Consumers often store vacuum cleaner in garages where temperatures can come close to 0 degrees Celsius. This creates an enormous challenge for our suppliers as they need to create a recycled plastics that can withstand a impact tests at zero degrees, which is difficult to achieve even with virgin plastics. As the source of recycled plastics that we used for previous vacuum cleaner was running out of supply, we had to look for a new source for the Performer Ultimate. By separately recycling Philips vacuum cleaners, we get access to recycled plastics of which we are certain that it can withstand the critical impact tests at zero degrees. Building this new supply chain in cooperation with Coolrec and Veolia required a closed cooperation between all parties that was built on mutual trust and a willingness to succeed.